When Black Panther hits theaters next year, we’ll see the king of Wakanda facing off against a number of his classic villains like Ulysses Klaue and Erik Killmonger. But in order to include Man-Ape, one of the Black Panther’s more iconic foes, Marvel had to be thoughtful and get creative. In the comics, Man-Ape, a Wakandan man named M’Baku, is a rival to the Black Panther who is constantly attempting to overthrow the Wakandan monarchy with the support of the White Gorilla Cult, a group of anti-technology luddite extremists who worship the Wakandan Gorilla deity. In Wakanda, there are multiple religious groups who style themselves after various Heliopolitan gods that are loosely based on the Egyptian pantheon. Bast, for example, is the goddess of the Black Panther Cult that dominates Wakandan society. In the same way that members of the royal family who consume the Black Panther Cult’s sacred heart-shaped herb to gain enhanced abilities, followers of the White Gorilla cult consume the flesh and bathe in the blood of the endangered White Gorilla to gain massive amounts of strength. 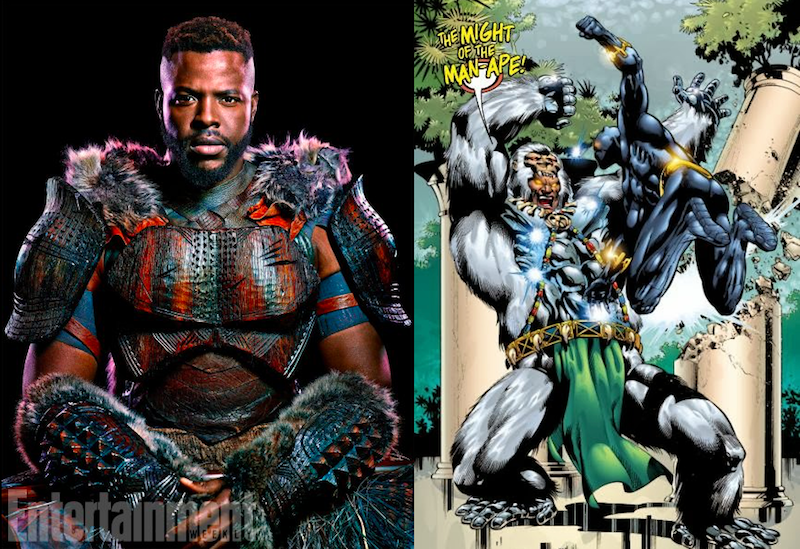 M’Baku himself is traditionally depicted wearing a special suit styled after a gorilla. While Man-Ape origins make him one of Black Panther’s more culturally interesting and complicated enemies in Marvel’s books, the idea of dressing up a black actor in a gorilla suit and introducing him as a villain called “Man-Ape” immediately raised red flags for Marvel Studios, given the longstanding history of racists comparing black people to apes. Speaking to Entertainment Weekly, Black Panther executive producer Nate Moore explained how the studio recognized the narrative value Man-Ape’s character (portrayed by Winston Duke) could bring to the movie and worked to modify him to avoid any potential controversy. The first step was an easy one: dropping his codename. We don’t call him Man-Ape. We do call him M’Baku. Having a black character dress up as an ape, I think there’s a lot of racial implications that don’t sit well, if done wrong. But the idea that they worship the gorilla gods is interesting because it’s a movie about the Black Panther who, himself, is a sort of deity in his own right. In the Marvel Cinematic Universe, Moore continued, the White Gorilla Cult is reimagined as a religious minority within Wakanda that lives side by side with those who worship the Panther God. M’Baku, a leader within the cult, is at odds with the Black Panther and his late father primarily because of a difference in opinion about what role Wakanda should play in the larger world. In lieu of his classic gorilla suit, Black Panther’s take on M’Baka is less literal and involves an intricate set of armor that features a number of gorilla-inspired accents. Not only does the suit do a solid job of paying tribute to Man-Ape’s original design, it also makes it clear that when we finally get a chance to meet M’Baka, it’ll be impossible to see him as anything but a human. 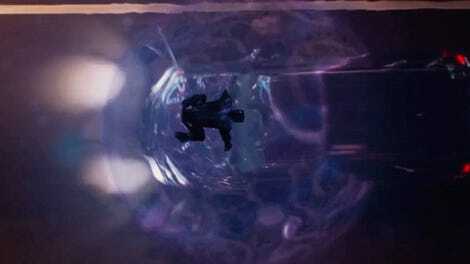 What Do the Markings On Killmonger&apos;s Skin Mean In Black Panther?